Strawberry jam, such a staple for breakfast but many of the store bought jams are loaded with unhealthy sugar. 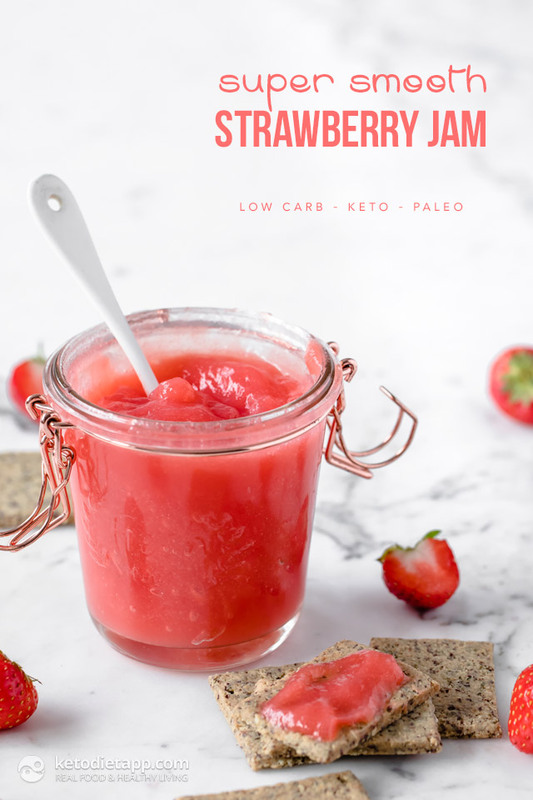 This Smooth Strawberry Jam is sugar free and can be made sweetener free (although you can add a keto sweetener if you like) and it&apos;s super simple to make. Made with grass-fed gelatin for a gut friendly start to the day. 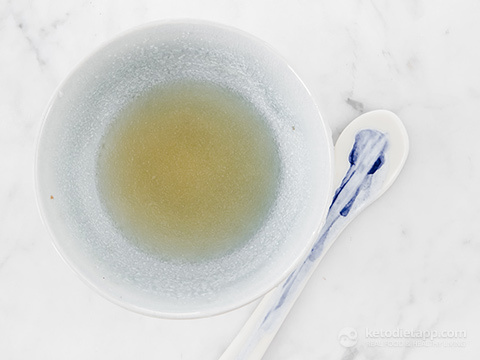 Collagen helps repair the gut lining, especially useful if you have any kind of autoimmune condition like me. You can enjoy this jam as a set jam or spreadable. If you keep it in the fridge, it will firm up again, but give it a good stir and it’ll loosen up and be spreadable again. Spread on some toasted Keto Bread for a healthy and quick low-carb breakfast, or how about surprising your loved one by making a batch and giving as a gift for Valentine’s Day or your mum for Mother’s Day? It’s so pretty. Place the gelatin to a small bowl. 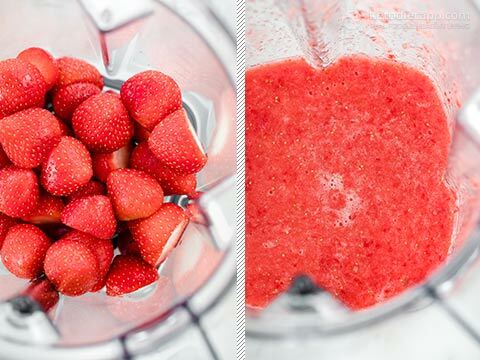 Add the water and mix, leave to bloom whilst you prepare the strawberries. Transfer to a muslin cloth and squeeze out the juice. If you prefer your jam a little chunky you can omit this step and use the whole mixture, otherwise, discard the pith (nutrition facts include the pith). 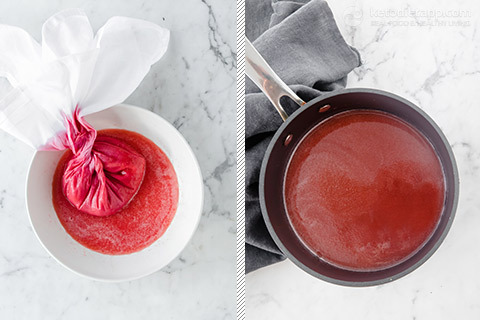 Place half of the strawberry juice in a sauce pan. Heat on a medium-low heat and add the bloomed gelatin. Stir until melted. 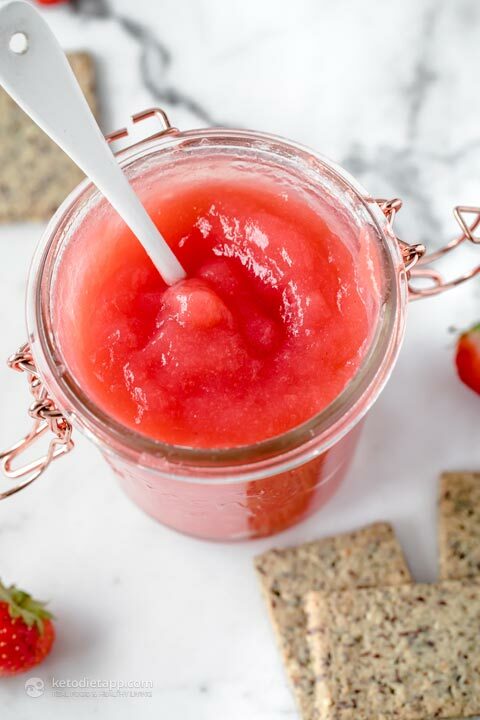 Remove from the heat and add the lemon juice, optional sweetener and rest of the strawberry juice. Stir. Place in a jar and allow to cool. Once cool, transfer to the fridge for about 30 minutes or up to 1 hour to set. If you like more of a set jam, please use as is. 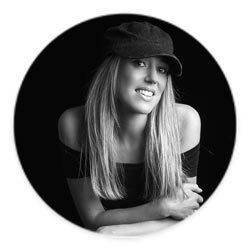 If you prefer a softer jam, give the jam a really good stir until it loosens up and is smooth. Store in an airtight glass jar in the fridge. When using straight from the fridge, allow to bring to room temperature to loosen up and giving it a big stir again. 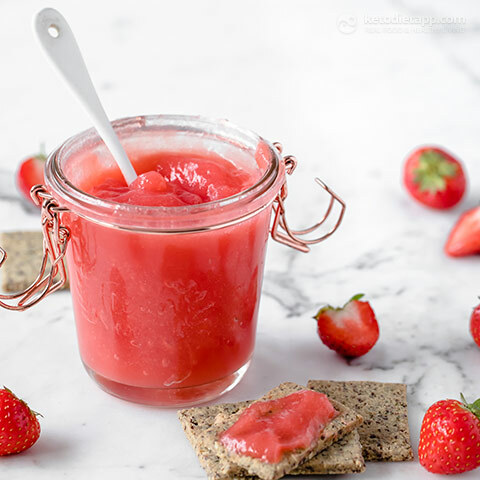 This strawberry jam can be stored in fridge for up to 1 week.